Century Village at West Palm Beach is a 55+ community situated in West Palm Beach, Florida. This active adult complex consists of 6,500 condominium units available on a resale-only basis. Along with a low-maintenance lifestyle, residents of Century Village enjoy a myriad of resort-style amenities. Just a few miles from the scenic Atlantic shoreline in popular Palm Beach County, residents enjoy the surrounding area for the endless options of shopping, dining, and entertainment. Residents of Century Village at West Palm Beach enjoy numerous resort-style amenities. Inside the 92,000 square-foot clubhouse residents have all the options they need to stay socially and physically active. Those looking to stay in shape can utilize the cardiovascular and weight-training equipment in the fitness center or jump in the indoor resistance pool. Those looking to stay a little more socially active will enjoy the hobby and game room or one of the party rooms where numerous clubs meet regularly. Plays, comedians and other entertainers are often brought in to entertain the residents in the 1,221-seat performance theater. The amenities continue outside the clubhouse with two pools, four tennis courts, and 39 shuffleboard courts. There are also six satellite pools spread throughout the community so residents can take a refreshing dip or layout poolside at their closest convenience. Started in the early 1970's and completed in 1995, Century Village at West Palm Beach consists of 6,500 condominium units. These units are offered on a resale-only basis in two to four-floor buildings with secured entry and elevators. Condos in the community range in size from around 600 to almost 1,500 square feet of living space. These units offer one to two bedrooms, one to two bathrooms, and lot parking. Condos in the community have open floor plans and balconies with golf course or scenic water views. Residents of Century Village at West Palm Beach enjoy a low-maintenance lifestyle. An annual homeowners' association (HOA) fee covers general maintenance of the community grounds, clubhouse, and amenities. The HOA fee also covers upkeep of all resident buildings and trash removal. With so much more free time residents enjoy the strong social life promoted in the community. An on-site activities director plans numerous clubs and events for residents such as card clubs, arts club, tennis club, aerobics classes and theater performances. 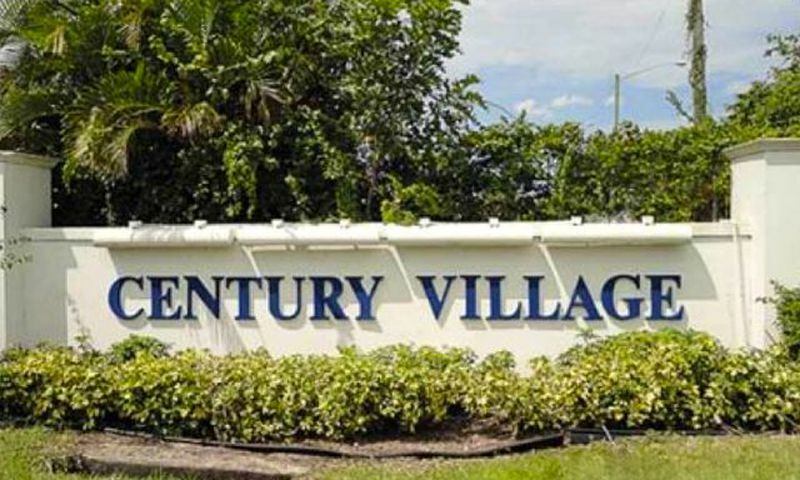 Situated in West Palm Beach, Florida, residents of Century Village enjoy a prime location. This area is rich with endless opportunities for entertainment and recreation. Located just a few miles from the beautiful Atlantic shoreline, residents often plan day trips to surrounding beaches. Golfers will love the numerous public and private courses in the area offering play for all skill levels. Just off the Florida Turnpike, residents of Century Village enjoy easy travel to other nearby cities such as Palm Beach Gardens or Boca Raton. Great options for shopping, dining and entertainment in a beautiful location draws residents from across the country to Century Village at West Palm Beach. Clubhouse - 92,000 Sq. Ft. There are plenty of activities available in Century Village at West Palm Beach. Here is a sample of some of the clubs, activities and classes offered here. These units are offered on a resale-only basis in two to four-floor buildings with secured entry and elevators. Condos in the community range in size from about 600 to almost 1,500 square feet of living space. These units offer one to two bedrooms, one to two bathrooms, and lot parking. These units have open floor plans and balconies with golf course or scenic water views. Below is a sample of the models offered in the community. Best 55+ community in the area. No other community offers the amenities we have here. I love it here! Like Kareoke, dances, cards, looking forward to more when season brings northerners down for winter and more trips and activities available like theatre etc. it’s all what you make of it as long as you leave your apartment and enjoy the activity!! 55places.com is not affiliated with the developer(s) or homeowners association of Century Village at West Palm Beach. The information you submit is distributed to a 55places.com Partner Agent, who is a licensed real estate agent. The information regarding Century Village at West Palm Beach has not been verified or approved by the developer or homeowners association. Please verify all information prior to purchasing. 55places.com is not responsible for any errors regarding the information displayed on this website.